Is Linwood Cemetery an 'RSA' Cemetery? There is no such thing as a 'RSA' cemetery. 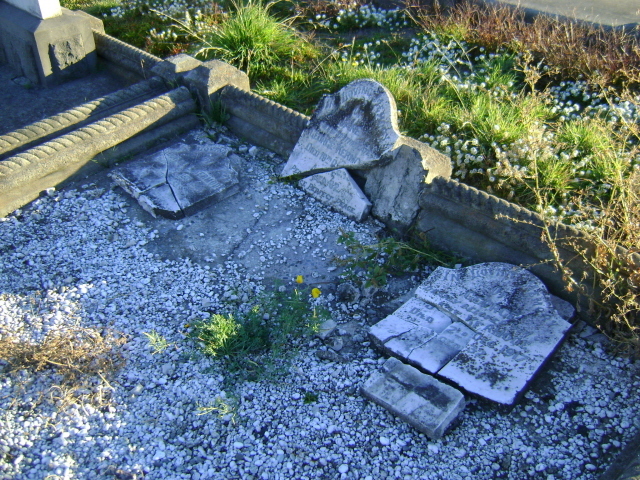 Recognised areas within certain public cemeteries have been designated as 'Services Cemeteries' by local Councils. These areas are administered by the local authority with input and financial support from Veterans' Affairs New Zealand (VANZ). Linwood Cemetery is a public cemetery and is not designated as a Services Cemetery, yet there are over 315 service personnel commemorated in the cemetery. 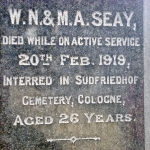 There aren't a large number of distinctive 'RSA' headstones and plaques in the cemetery. How come the Friends think there are so many service people buried in Linwood Cemetery? 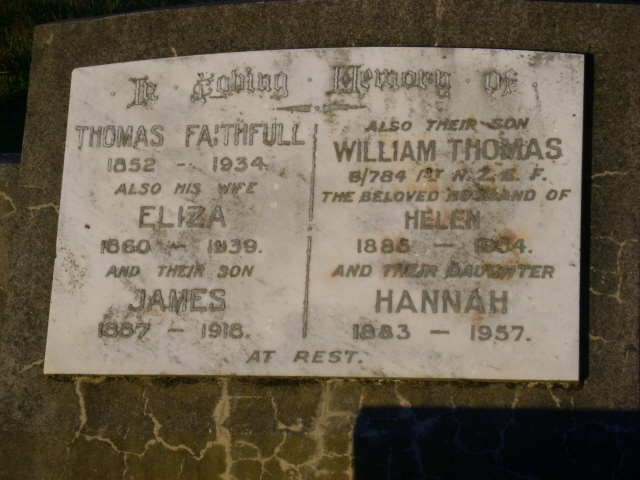 Firstly, they aren't 'RSA' headstones / plaques. Even though this term is used colloquially, calling them 'services memorials' is preferred. This term encompasses both the bronze plaques and the distinctive granite headstones. The overall total number of service personnel remembered in Linwood Cemetery at the moment is currently about 315 people. See our Roll of Honour for details. Why aren't you sure how many? As far as we know, this information hasn't been compiled by anyone before. We have found this out by taking the list of war casualties from the Commonwealth War Graves Commission (CWGC) website cemetery reports for Linwood Cemetery, going through the records of the Transcript of Headstones for Linwood Cemetery recorded by the NZ Society of Genealogists in 1979 and checking our photo-archive for information inscribed on headstones. Why don't they all have services memorials? The families of those who died in service during war time, i.e. whose graves are True War Graves would all have been offered a free memorial by the government, but not all families accept this offer. 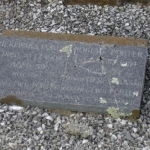 All casualties of the two World Wars who died overseas are buried or commemorated on Memorials to the Missing in the theatres of war in which they died. War veterans are entitled to subsidised headstones but, again, not all families want them. The services memorials you see in the cemetery are marking graves of service personnel who died as war casualties (True War Graves) and are interred in the cemetery. That's only about 18% (or less than one fifth) of the total service personnel remembered in Linwood cemetery. 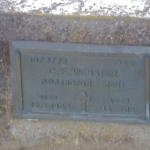 What's the difference between a 'True War Grave' and a 'Veteran Grave'? 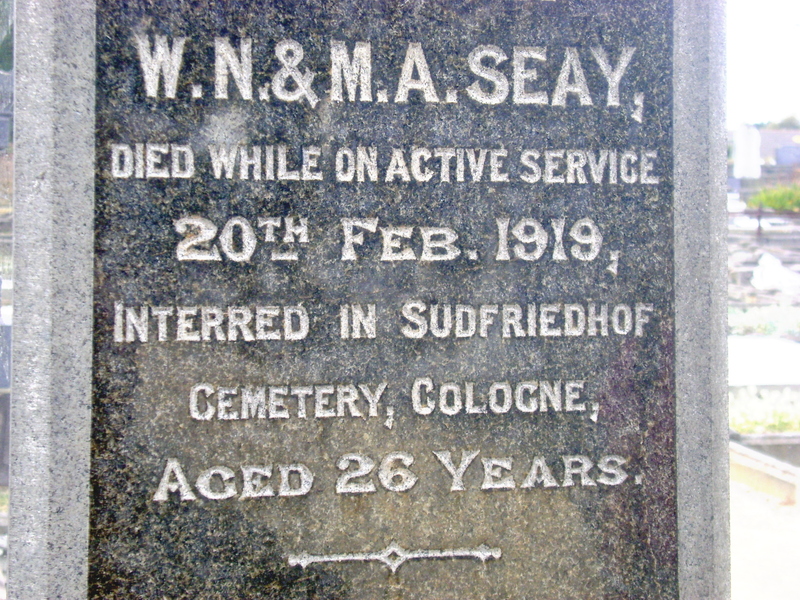 For a grave to be classed as a True War Grave of WW1 or WW2, the casualty must have been a serving member of the forces who died during wartime or shortly after of an accident, illness or as a result of wounds, within defined dates. For WW1, the dates are from 4 August 1914 until 31 August 1921, and for WW2, between 3 September 1939 and 31 December 1947. The sites of battlefields and overseas service cemeteries are so far away from New Zealand, especially at a time when travel back to Europe took a life-time of saving and the journey at least 3 months. So, for most people, visiting the final burial place of a relative killed in a war was, and still is, a wish rather than a possibility. 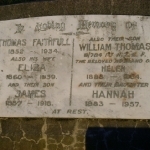 Therefore, it was common for families to add the details of their lost loved one to an existing family grave to go to as a place of remembrance nearer to home. The True War Graves in Linwood Cemetery tend to be for people who died in NZ, for example, during training, on troopships, or on leave. There were outbreaks of influenza and meningitis at NZ Training Camps (Trentham, Featherston, Awhiti) in 1918 which caused the death of many service personnel before they even finished their training, let alone reached the war zone. 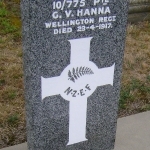 People who served in wartime either within NZ or overseas, but who died outside the dates given above, are war Veterans rather than war casualties. 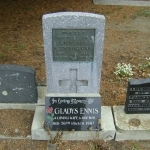 A grave of a service person who died between 3 September 1939 and 31 December 1947 and who is not on the list of True War Graves for WW2, will be because s/he is a Veteran of WW1 who died in those years, not a serving member of the forces of WW2, or because his/her death was not attributable to war service. 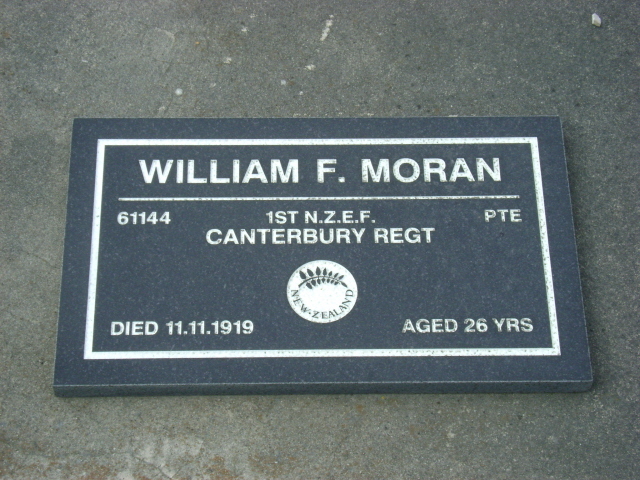 Eligible war Veterans are entitled to a subsidised services memorial supplied by VANZ, a service formerly provided by the NZ Department of Internal Affairs. 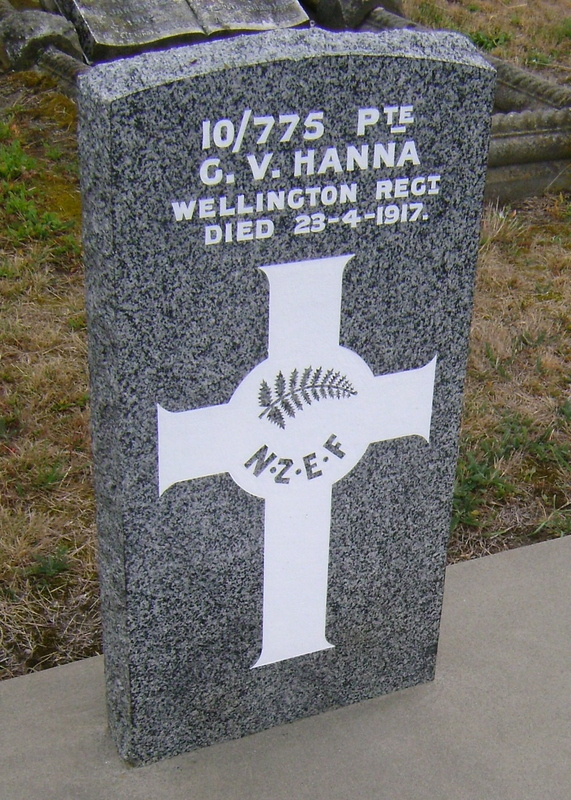 If the internment of a deceased Veteran is to be in a public cemetery (as with Linwood Cemetery), the next of kin can order a standard ex-service memorial, either a plaque or headstone, at a subsidised rate through VANZ . Ex-service memorials are of a uniform style and there is no provision for personal messages or photographs. 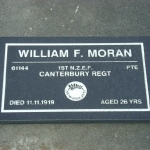 These are the distinctive service headstones and plaques (the ones most people incorrectly call 'RSA' headstones). The family may provide their own more personal memorial at their own cost. True War Graves come under the care of the Commonwealth War Graves Commission. Its agent in New Zealand is the Ministry for Culture and Heritage. The Commonwealth War Graves Commission makes no distinction between True War Graves with standard soldiers’ headstones and those with private family memorials. The Commission does not make structural changes to a grave with a private memorial on it, just keep what is there clean and in good repair in perpetuity. True War Graves are checked every 2 years by a representative of National Monuments and War Graves - Heritage Operations Section of the Ministry for Culture and Heritage. 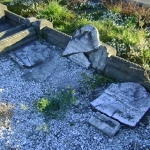 These grave plots are generally in a very good condition, or earmarked for maintenance following the next visit. Since the two recent Christchurch earthquakes (4th September 2010 and 22nd February 2011) the Friends forwarded information about damage to the Heritage Operations Section which luckily was minimal and has either been repaired or is scheduled for maintenance. Maintenance of Veterans’ graves is the responsibility of their families, not any other organisation, even if the headstone is a standard services memorial. Maintenance of grave plots and headstones with additional remembrances to service personnel buried overseas are the responsibility of the family in line with public cemetery By-laws and burial terms and conditions. 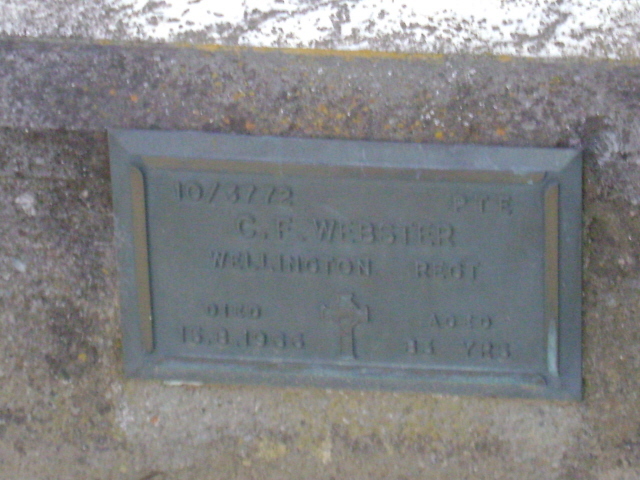 How many True War Graves are there in Christchurch? 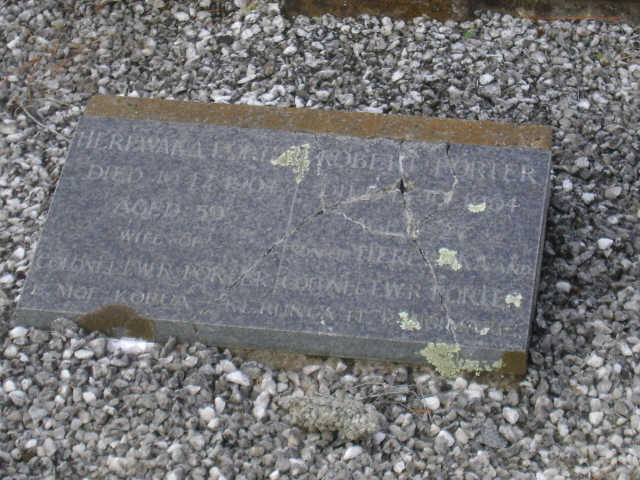 This table shows the number of True War Graves in the different cemeteries in Christchurch. 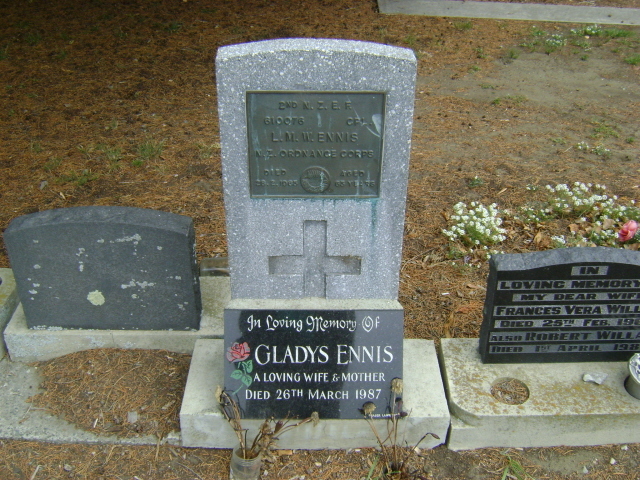 Even though it does not contain a Services Cemetery, Linwood has the highest number of True War Graves for WW1; another reason why the Friends advocate for regular grounds maintenance by the City Council, and promote awareness of the requirement of the descendants of those buried in the cemetery to maintain their family graves. Why are some of the graves of service personnel in such a bad state? Families move on, forget, don't have the money to maintain or restore a private grave, don't pass information down the generations, think it is someone else's responsibility. How are the Friends involved? As 'self-appointed guardians' of Linwood Cemetery, we draw attention to the 'needs' of all those people buried in it, its value as a greenspace for the local community and an important heritage site for Christchurch. We are passionate about the cemetery's preservation and maintenance. The cemetery is too large for the City Council or other funders to restore graves. If the fabric of a grave plot poses a threat to public safety, the City Council once aware of the danger, do the minimum to make it safe. The City Council only does basic land maintenance. The Friends tidy, garden and raise money for particular projects in the cemetery when they have the resources to do so. By realising there are so many more ex-service personnel than usually defined by the True War Graves, it can be seen that the number of those 'ANZACs' remembered in the cemetery is a significant percentage of Christchurch's (and nearly 1% of NZ's total) war dead. These deserve the attention of their descendants, our local community, heritage departments, relevant socieities and organisations. 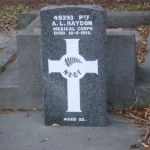 Although some of these heroes are not buried in the cemetery, it is most important that they are included in the cemetery's profile so we can ensure New Zealand families still have a place to go to remember their ancestors and those who have no one left to remember them continue to be honoured. One of the reasons the Friends of Linwood Cemetery exists is to preserve the memory of the deeds of those in the past who are buried there. People who all gave a personal contribution (great or small) to Christchurch, New Zealand, and the free world we know today, Lest We Forget. 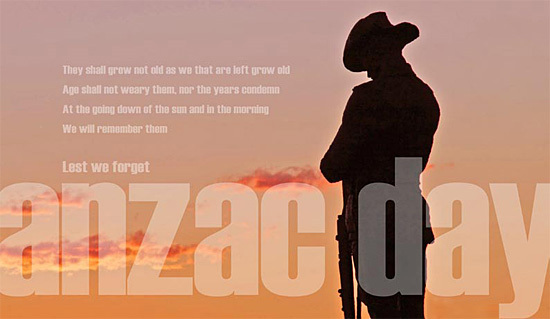 Each year at 11 am on the Sunday before ANZAC Day, the Friends read out the names of those on our Roll of Honour and acknoledge their sacrifice with a piped lament. This is a public event which anyone can attend. 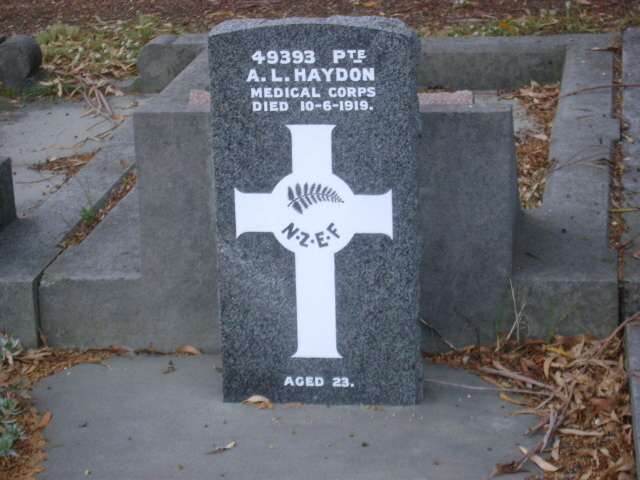 How can I find information about an ancestor who served in NZ military forces? Margaret Marks, National Monuments and War Graves - Heritage Operations Section of the Ministry for Culture and Heritage. Current Version released : 18th April 2011, Updated 01 January 2016 by Alexandra.